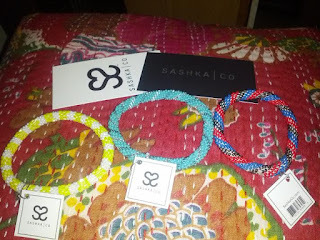 Gathering My Roses: SASHKA CO BRACELET WINNERS! Deb E. is a winner! USA ONLY, 16+. ALL entries are verified.Fulfillment of prize(s) is the responsibility of the sponsor. Thank you to everyone that participated -- I do appreciate your continued support. I have more great reviews and giveaways coming soon. Have a wonderful, safe week!